According to the university’s student newspaper, The Spectator, a packed audience attended the 5th annual drag show in the Campion Ballroom last month. Drag shows are a notorious symbol of moral depravity, part of the sexual revolution apparatus … something you’d expect to find on the infamous stages of Broadway or the godless sets of Hollywood. But at a Catholic university? 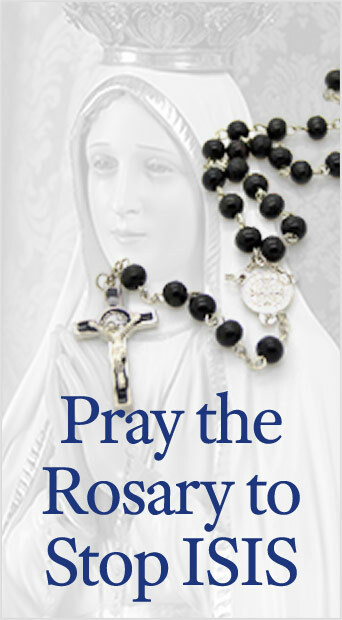 What does “Catholic” mean for the administrators of Seattle University? An empty title devoid of moral principles rather than a way of life instituted by Our Lord Himself? What other conclusion can one draw in the face of this Jesuit university’s latest transgression against its Catholic identity? Seattle University’s web site states: “The Jesuits are well-known and respected as educators.” Quite right, and justly so. But did they gain that reputation by the defiance of their Catholic identity, and the flaunting of immorality? A resounding “No!” is the only answer! That reputation was gained through faithfulness and integrity, qualities quite lacking if current events are any sign. 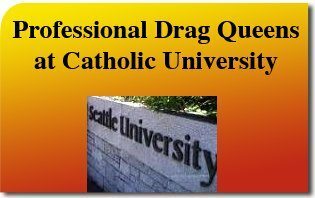 If Seattle University wishes to live up to both its Jesuit tradition, and its Catholic identity, this is the time for them to show it by publically condemning the drag show event, apologizing for having allowed the scandal multiple times, and banishing it forever. You can help this happen by speaking up against this scandal. Contact information for Seattle University.